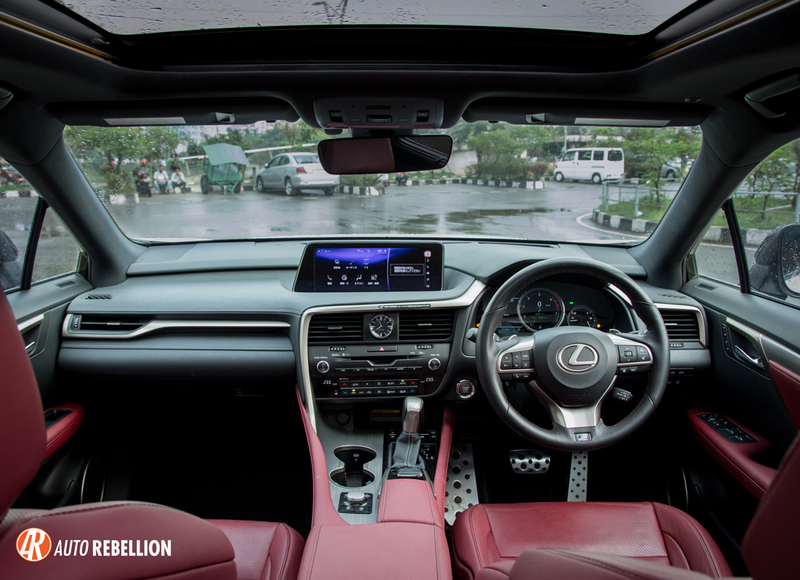 Lexus has always been the brand synonymous to luxury. 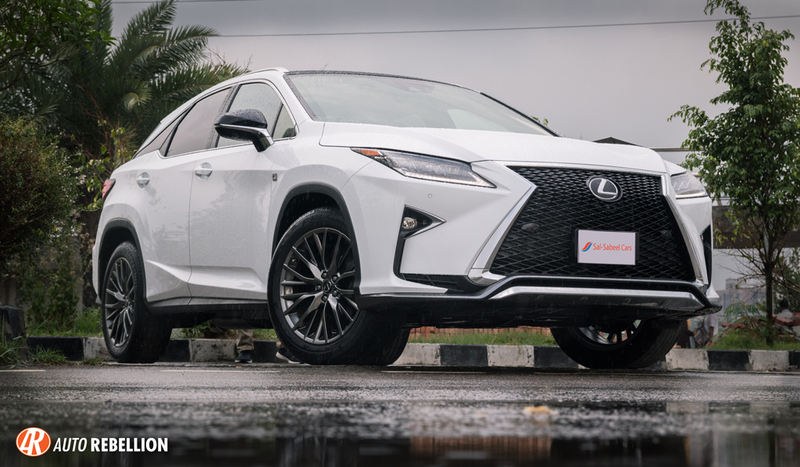 The Japanese manufacturer that blends ultimate performance, along with futuristic super cool styling together to create sophisticated machines.The lexus RX carries its legacy from the year 1998. The RX series is the first ever SUV in the world to offer the ultimate refinement of luxury to that of a luxury sedan back in the days. The brand was always dedicated to stay ahead of the game and always demonstrated to develop something new and something that felt like it was ahead of its present time.Lexus design has traditionally placed an emphasis on targeting specific vehicle development standards. Since its inception, design targets have ranged from improving aerodynamics, ride quality to interior ergonomics. 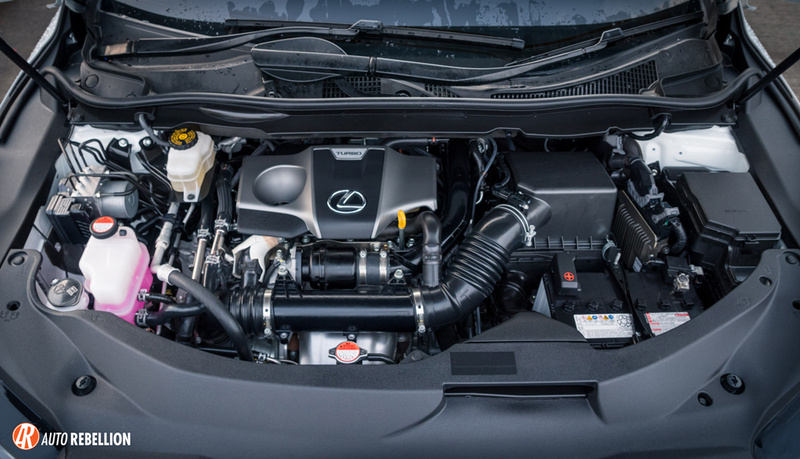 The term “IDEAL” (“Impressive, Dynamic, Elegant, Advanced, and Lasting”) is used in the development process and each Lexus vehicle is designed according to approximately 500 specific product standards, known as Lexus Musts. The RX series separated from Toyota when Lexus introduced the third generation RX. Toyota Harrier was the only sub-brand of the RX offering a smaller displacement engine, minimized features for the JDM market only. With Lexus, things started to get really cool from 2014s. The reason why we say cool? Shall be explained by the photos below! Car manufacturers from the West or the Europeans always created the bold statement in the car designs. This means, all the model category of their cars always shares the same design DNA, for example the iconic BMW kidney grille, the halo rings of headlights. When they introduce a facelift to the car models they make sure the design similarity is carried on to each and every model down and up the lineup. 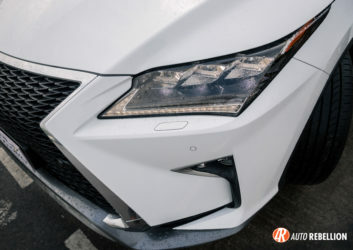 Lexus has now come to develop this crazy sharp angular front and rear end with the front head lights and DRLs separated in the bumper. 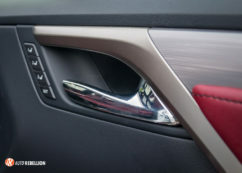 When this design element was launched with the Lexus IS models in 2013, some people hated it and so did we. But Lexus proved otherwise. The design looked straight out of a designer’s concept of the future of automobiles. 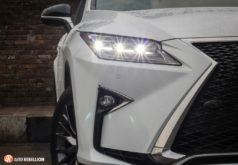 The Lexus RX the fourth generation of the line up now has adapted the Lexus’s sharp triangular angular design all throughout and a pair LED headlamps that look like they are taken from an alien spacecraft. The angular edges in the fender hood and bumpers meant the car is really serious about its aero dynamic efficiency. We got our hands on the 2016 Lexus RX200t reconditioned unit from Japan and got a chance to experience the sophistication in person. 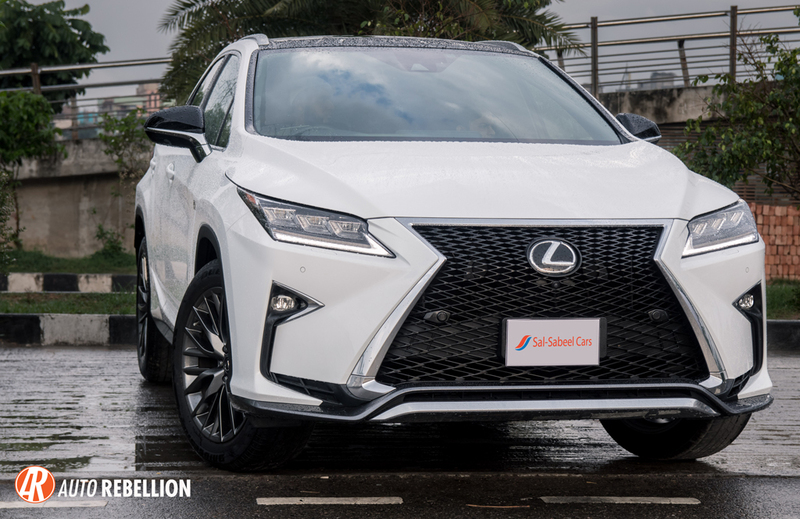 Thanks to Salsabeel Cars for letting us experience this SUV in person. 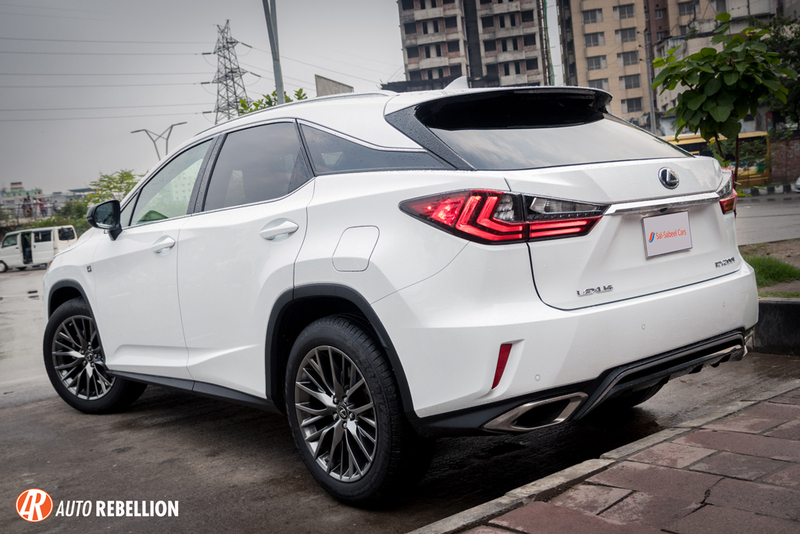 The lexus RX200t designed by Gen Ikeda, where the concept behind his styling is “seductive strength’. With a completely new Toyota K-Platform, (AL20) the RX was developed with intricate attention to details.The RX200t might have its crazy sharp edges and angles but on the interior it’s a completely different environment. The interior cabin is made to be the most elegant and the most luxurious as possible which do not comprise spaciousness or comfort. There is leather almost everywhere. Unique to the RX 200t F sport model is the dark rose red and grey combination of the interior. Leather stitched seats and upholstery, perforation on the seats for standard option of heated seats. 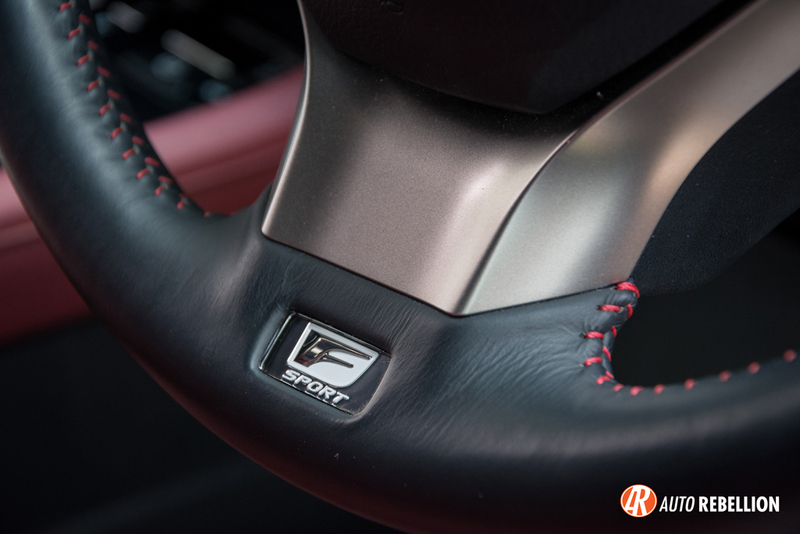 Also standard is the Leather stitched F sport steering wheel with perforations for heated steering as well. The cabin is the most ergonomically designed to give the passenger and the driver the best luxury experience. 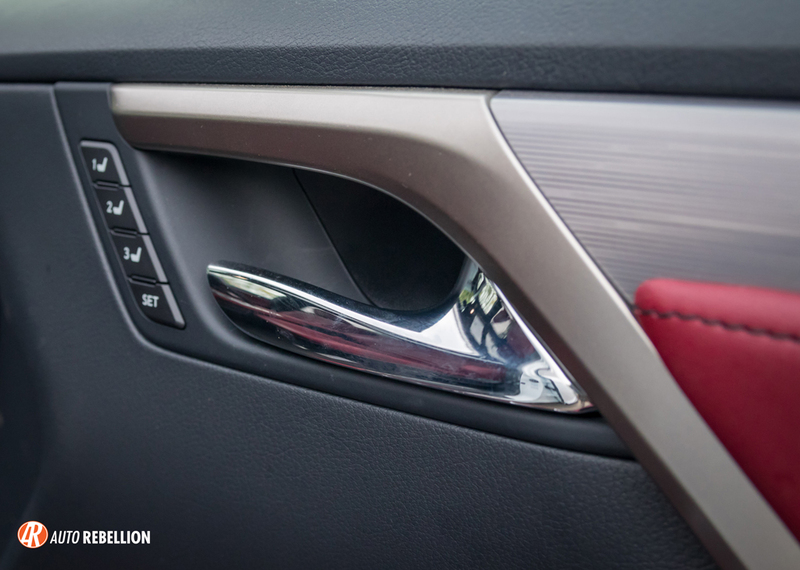 Every metallic accent and garnish on the RX interior is brushed aluminum. There is no plastic, fake wooden fantasy here. 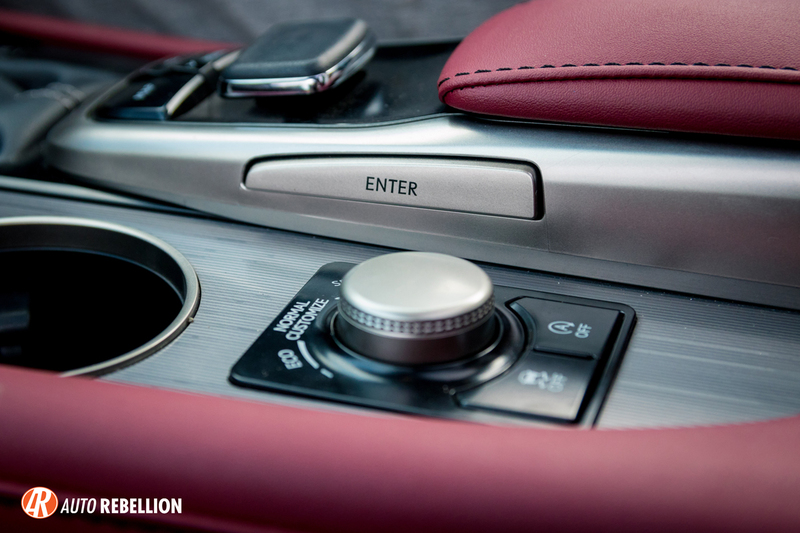 The touch and feel the flow, the angles is the most sophisticated SUV interior ever to us. A brilliant wide automatic panoramic roof that operates quieter the dew drops rolling down the blade of a grass. The F sport is a bit special from the regular RX 200t and we shall now come down to the differences. 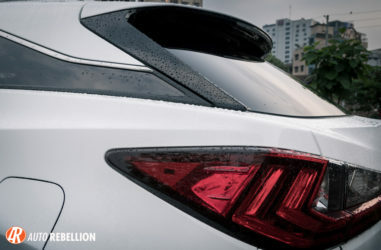 From the exterior it has F sport aero package with dynamic black lip accents, rear diffuser. 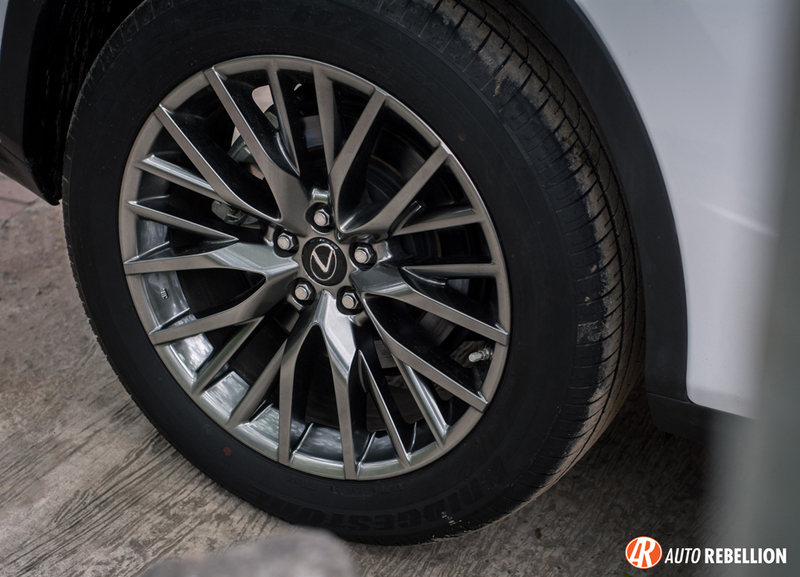 20 Inch F sport alloy wheels are standard on this RX200T. 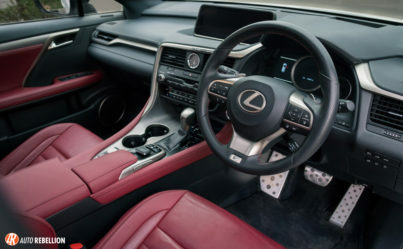 On the interior as we mentioned earlier that the seats are original F sport red leather seats. And lastly cosmetic upgrades aren’t the only thing special of the F sport. This model comes with Adaptive Variable suspension with three drive modes that changes the way the car handles, and responds on the road. 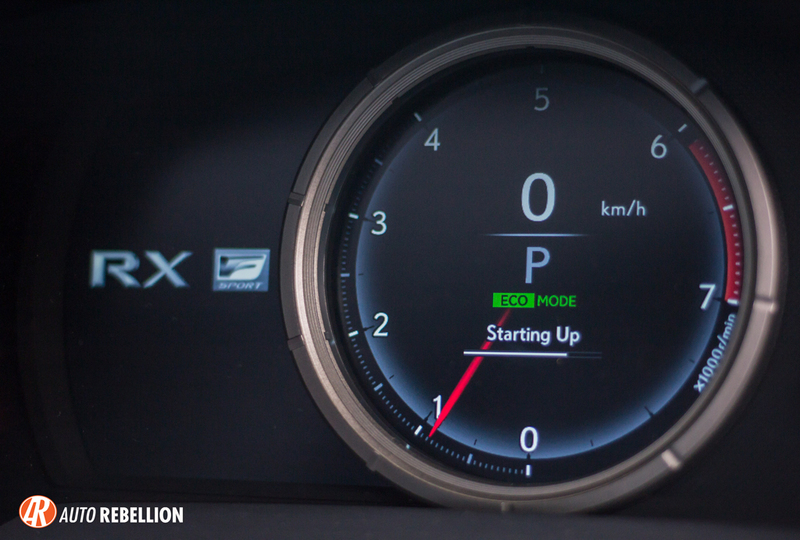 The drive mode selector sets the behavior of the RX200T to Eco for economical driving. The RPM stays and shifts low to save fuel. 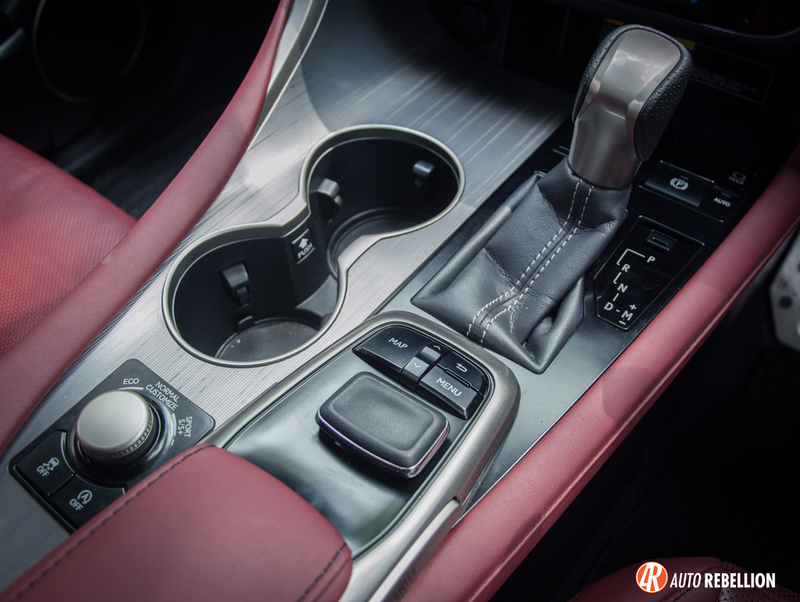 The Sport and Sport + lowers and stiffens up the adaptive suspension to give better feedback to the driver and raises the shift point of the transmission , by holding the rpms higher for a sportier driving experience as well. The AVS continually adjusts shock-absorber damping rates during driving to deliver a smooth ride and the ECU also monitors the G force transfer of the car during cornering, acceleration to adjust the gear accordingly for a smooth and faster engine response, better cornering speed. Cruise control is standard as well. Now let’s catch our breath for a while explaining all that techno magic! Under the hood, the RX 200T F sport is powered by a 2.0 ltr Inline 4 cylinder Twin Scroll turbocharger pushing out 235bhp at 5600rpm and 350Nm of torque at 4000rpm. Twin scroll meaning one turbo that boosts at a lower rpm range leading the power to the bigger one that boosts higher at a higher rpm range. And all that power can be shot through the amazingly fast and responsive 6 speed electronically controlled transmission, to be shifted by F sport paddle shifters on the steering. Aluminum is everywhere in the car and so are the brake and accelerator pedals, and the 20inch lightweight aluminum wheels. The front F sport seats both passenger and is fully electric. It gives the user a 2 way slide adjuster, 4 way height adjustments and a 2 way Lumbar support. 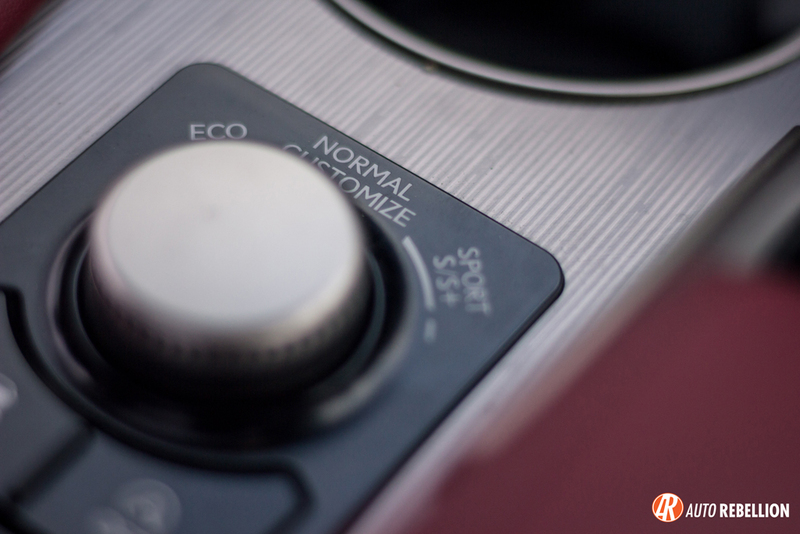 Only the driver side has a 3 step memory function that stores the adjustment of the seat of 3 stored modes. The rear seats are heated as well with 60 40 split. 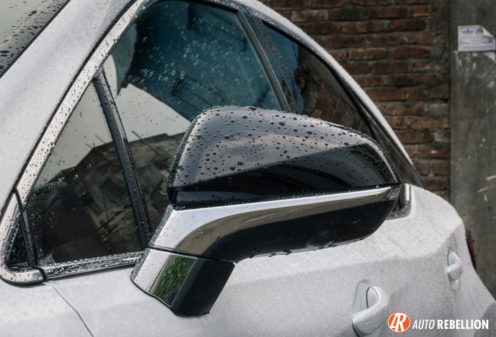 The rear windows are tinted and have extra side manual sunshades that can be pulled up to protect further from the sunlight. On the safety features, Lexus’s VDIM integrates various safety control measures such as, ABS, EBD, Brake Assist, Traction control, VSC and Steering assist control come in standard. 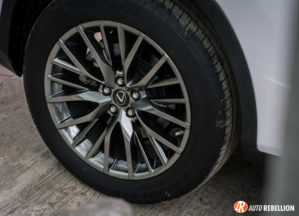 Tire pressure warning system, blind spot monitor, parking sensors front and back, and a brake hold function that allows the driver to take his foot of the pedal during routine traffic stops. Automatic engine idle stop can also be turned on further to improve fuel economy. For passenger safety, the car has 10 SRS airbags with driver knee airbag Curtain shield airbags left and right. So what about the entertainment system?. The RX200t F sport doesn’t fall short of its offering here as well. 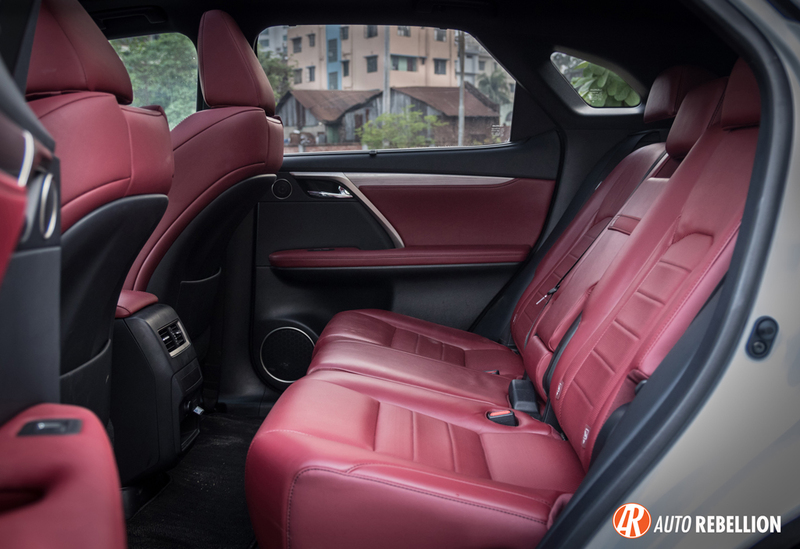 This RX200t F sport features a Lexus Premium 12 speaker Mark Levinson sound system that supports USB, Aux and Bluetooth integration. 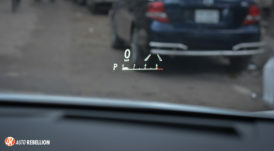 This SUV has the largest navigation screen to be featured compared to its competitors. 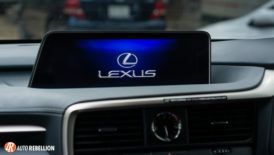 It has an 8inch EMV screen with touch sensitive controls and a Heads UP Display that projects the speed into the windshield in front of the driver. Now lets talk about some of the competitors. 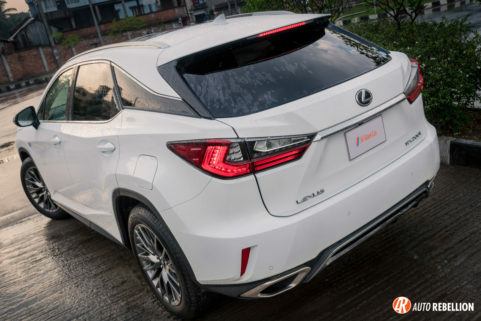 The lexus RX model is infact a midsized SUV. 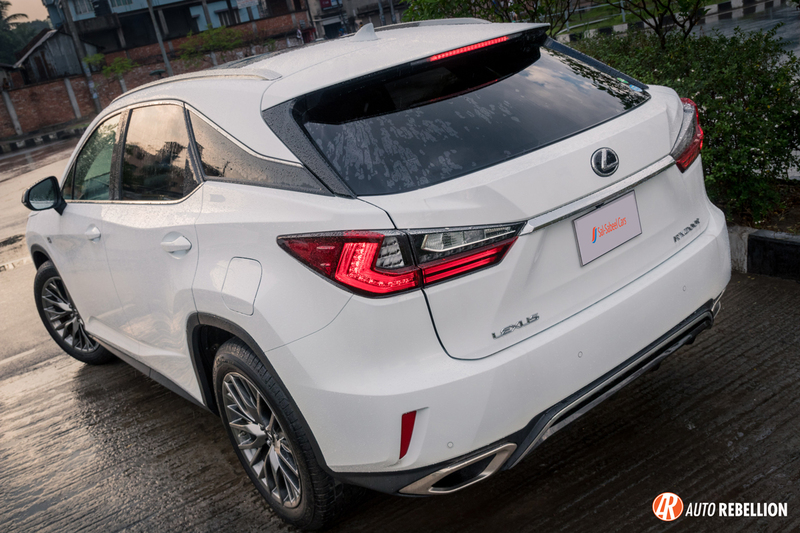 The lexus RX competes with a few European mid sized SUVs starting with the Audi Q5 and the Porsche Macan and the BMW X5. The Audi dealership is soon to be launched and would be offering the Audi Q5 and Audi Q3. The Audi Q5 launched in Bangladesh is expected to have the either or both the 2.0ltr TFSI or the 3.0 ltr TFSI variant where the 2.0ltr will deliver similar engine output as the RX200t. The Q3 on the other hand may come with 2.0ltr TDI and 2.0ltr TFSI both producing a little over 200bhp. The Macan is also available in the market where the 2.0ltr variant Macan and Macan S 3.0ltr engine. Executive Motors offers the BMW X5 3.0ltr and 2.0l Diesel variants. 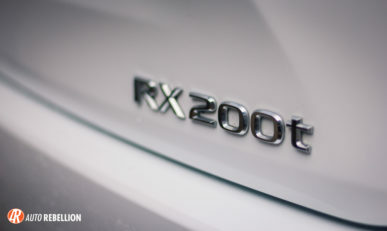 Lexus has always set itself well on the luxury car segment and the RX 200t F sport is truly a very good example. It has all the ingredients that people look for in a luxury Sports sedan. The agility of its handling, stiffness of the chassis, driving experience and sharpness of the Japanese design and coming loaded with performance options and sophisticated technology does set itself apart among the Toyota Prado, the Toyota Land Cruiser and the other aforementioned European models currently offered or soon to be offered in the Bangladesh market. The number standard features on this car is outrageous compared to other mid sized SUV offerings at this price. The European offerings may seem more sophisticated and refined but to us they kind of lack the sportier, dynamic allure of the Lexus’s design and performance. The RX200t F sport has the right balance of performance thrill of a sports sedan in an SUV and the Lexus’s true promise of luxury. 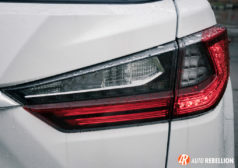 To explain it simply, the European offerings in the market focuses more on the brand image of owning the ‘badge’ but the Lexus RX200T as a whole, from every element in its features gives a much better feel and connects differently to a very passionate car enthusiast. Sal Sabeel cars is importing the Lexus RX200t F Sport in the market and this is the opportunity to own this seductively sophisticated and sporty Lexus SUV in the country. Do visit Sal Sabeel Cars at House # 07, Road # 08, Gulshan 1 to check out more of their unique automobile offerings. Co-founder, Editor, photographer and an absolute automaniac!